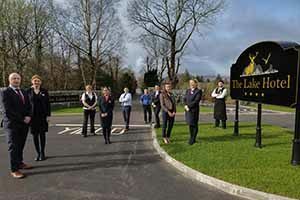 The Lake Hotel Killarney reopened for the season with a transformed exterior, a renovated entrance, new driveway new signage, handcrafted rockery, and enhanced lighting and uplighters. The new look allows for a wider lake view on approach to the four star property . 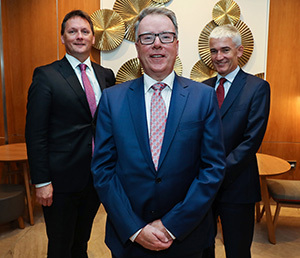 Native trees such as Irish Oak, Scotts pine and Mountain Ash have been added during landscaping work, expanding the sanctuary for wildlife such as red deer, foxes and wild tailed eagles. For Lake Hotel offers see www.lakehotel.com. Telephone 064 6631035.